Event Description: Monthly Evening meet of cars, bikes and other vehicles of interest. If you are interested in having a stall message me. We have Auntie Etties burger van, ice cream van pops in as long as it's good weather and ale and acoustics playing in club house. Come along for a great evening out. Event Description: ***This first meeting of the season is provisional depending on weather*** Informal gathering of classic (or interesting) cars and bikes in the beautiful Warwickshire Countryside. Event Description: The 11th Flying Scotsman will be flagged away bright and early from Windermere on Friday 5 April for a day of scenic driving and exciting new challenges as the route explores the lesser known byways of Cumbria and the Northern Pennines en route to an overnight rest in the sidings at Slaley Hall. Event Description: 79th Goodwood Members Meeting Revived in 2019 for members of the GRRC to continue the tradition of the 71 club motor sport events held at Goodwood from 1949-66, the Members Meet is becoming the �must-attend� opener for the historic motor racing season. Event Description: The Heritage Transport Show will feature the popular South East Bus Festival with a display of over 100 vintage buses. Cars up to 1989. Food and drink will be available from a variety of catering concessions. Parking is free. 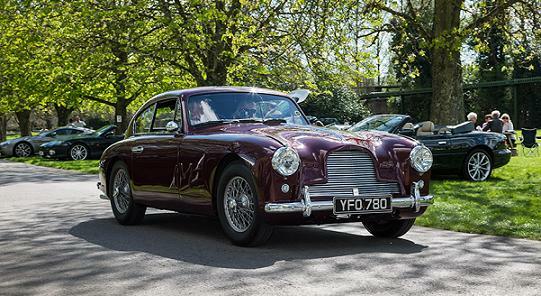 Event Description: Come to Beaulieu in your Aston Martin and become part of the second Simply Aston Martin - a gathering of Aston Martins of all shapes and sizes. Event Description: The next Bromyard Speed Festival street event will be on 7th April 2019 with a similar format to the 2016 and 2017 events. From 2019 onwards we plan for it to be a biennial event to reflect the massive effort entailed in staging it and the need to keep it fresh and improving . Event Description: Last year we took you back to Roman times with the tour along Hadrian's wall. This year we continue our journey back in time taking you across the area frequented by the marauding Border Reivers in the 13th century. We will drive some little-known roads that explore the Scottish Borders from west to east, broadly following the Tweed watershed, passing along and across some old �drove roads�. Organisation: Caledonian Classic+Historic Motor Sport Club Ltd. Event Description: The South East�s biggest, longest-running and best-loved bus show is back and will be a fabulous day out for families and transport enthusiasts alike. The South East�s biggest, longest-running and best-loved bus show is back and will be a fabulous day out for families and transport enthusiasts alike. The show is expected to attract around 100 visiting buses and coaches, old and new, from London and all over the UK. There will be extensive bus displays, heritage bus trips and a huge selection of trade stalls. Inside the London Bus Museum, workshop tours will demonstrate the preservation work carried out by their team of volunteer engineers. For the family, there are the bus excursions and two free circular service routes to ride, children�s activities and more. Event Description: B5000 Barbers Brunch run From Tamworth to Jacks Hill Caf�. We will all meet at M42 Services J10 A5 postcode B77 5PS at 9.30am to leave at 10am, We will then convoy to Jacks hill caf� in Towcester NN12 8ET for brunch and to show off our vehicles. Then we will convoy back at 2pm. I have contacted Jacks hill caf� and we will be joining more vehicles and motorbikes when we get there. 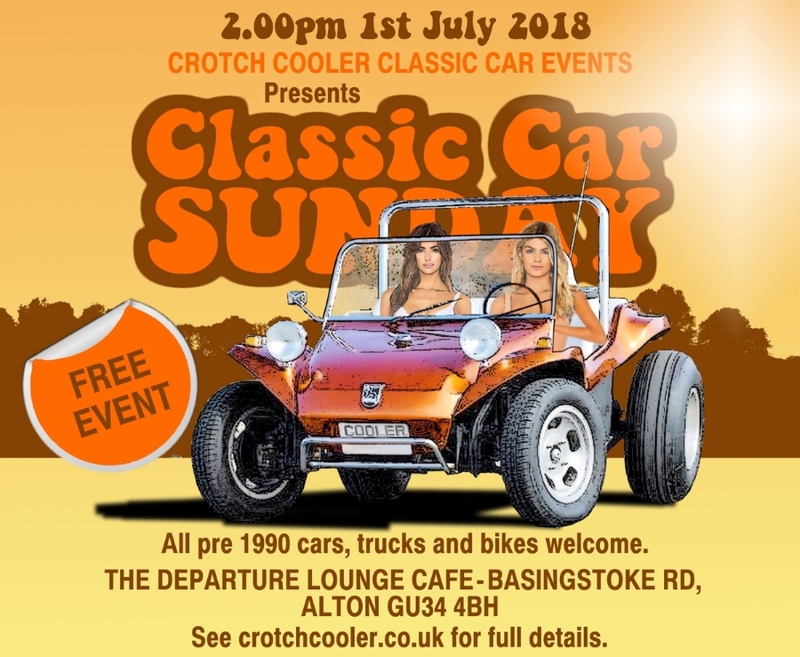 Event Description: All pre 1990 classic cars and their owners are welcome to the Classic Car Sunday meets that will be taking place on the first Sunday of each month over the summer in Alton. 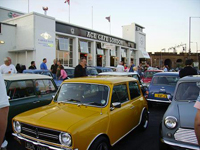 The meets kick off in Alton from 2.00pm, where owners can take part in a chilled and relaxed Sunday afternoon classic car gathering. The site has ample free parking on a dedicated event field. The Caf� has full facilities and is filled with retro and vintage charm. Number of Cars Attending: 150plus! Event Description: See a wonderful display of vintage cars, telling the story of the history of motoring. Event Description: The Festival of Transport is Classic Shows first full classic vehicle show of the year, and incorporates three separate events � the Malvern Classic Car Show, the Malvern Classic Motorcycle Show and the Malvern Mini & Spares Day. Event Description: Largest Land Rover Autojumble in Europe plus large Vintage Spares Section alongside, over 800 plus traders usually attend! Long established large International event, come along for a day out looking around lots of stalls.